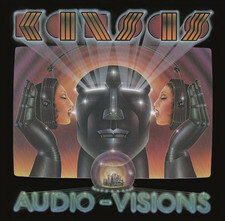 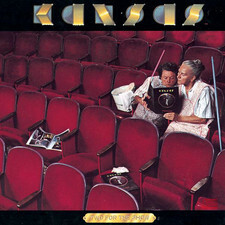 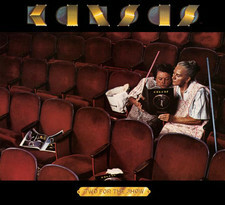 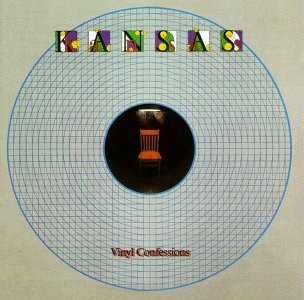 Despite the success of Vinyl Confessions, both among mainstream and christian audiences, the album was criticized in some quarters for being too repetitive of Kansas' prior efforts. 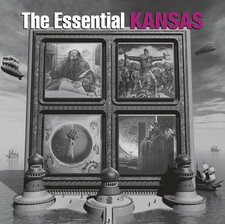 Drastic Measures was new lead singer John Elefante's attempt to change that perception, and his compositions dominate the album, with Kansas co-founder Kerry Livgren only contributing three tracks. 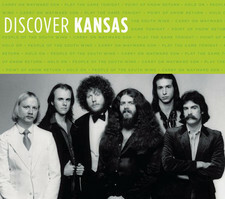 Because the sound of Drastic Measures is closer to the successful records that Loverboy and Foreigner (and many more)were putting out at the time, Livgren was greatly displeased. 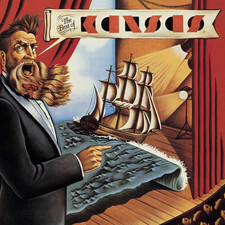 This is bluntly expressed in his lyrics for "Mainstream," which are as much a criticism of the band's new direction as they are a slam at the music industry in general. 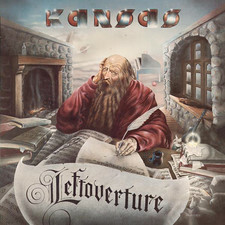 With the exception of the last three songs on the record, the Christian lyrical content was mostly indirect and oblique as well, although this was primarily due to Livgren holding back a number of songs for his future projects. 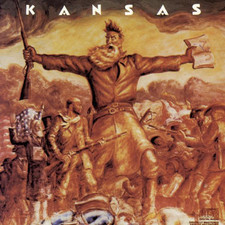 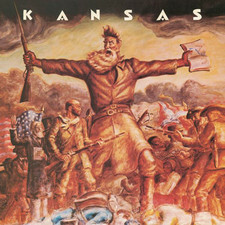 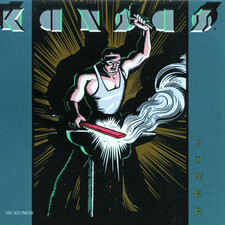 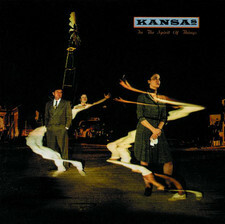 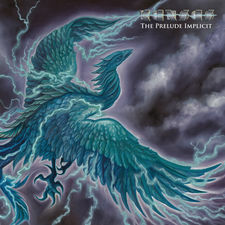 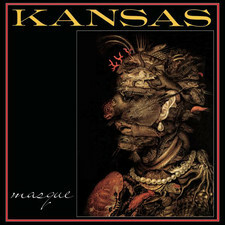 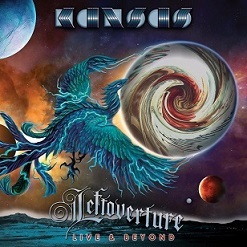 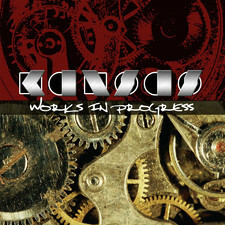 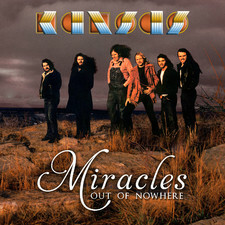 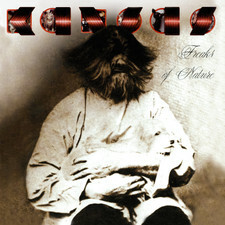 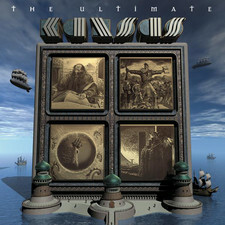 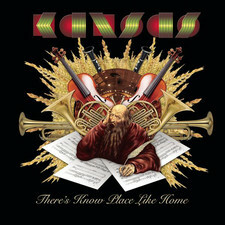 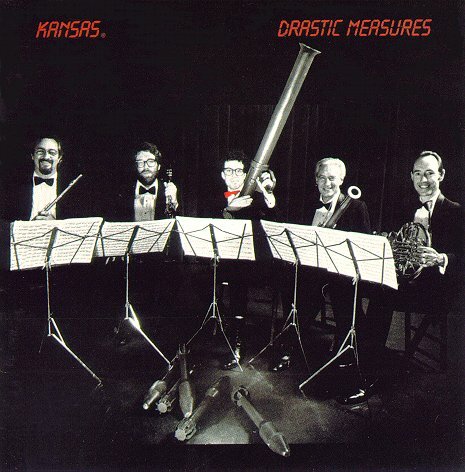 Combined with a strange choice for an album cover, the new Kansas presented on Drastic Measures confused long-time fans and disappointed Christian listeners. The album was the band's least successful record since their debut in 1974 (it only reachedno 75 on the Billboardchart)and the tensions within the band eventually became too much. 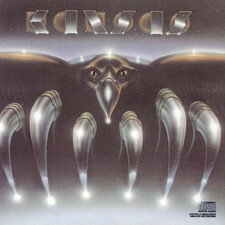 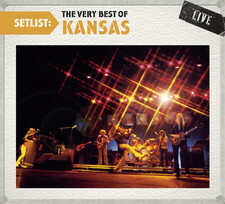 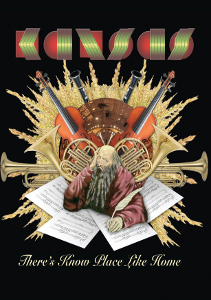 Kansas officially disbanded after giving a New Year's Eve concert at the end of their 1983 tour. 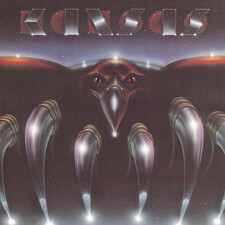 For me this album is nothing less than a classic AOR album. 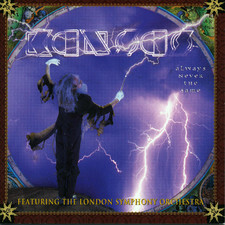 The AOR-maestroproducer Neil Kernon produced the album in an awesome way and the album is filled with marvellous tunes such as the classic "Fight Fire With Fire", "Going Through The Motion", "Don't Take Your Love Away" and "End Of The Age". 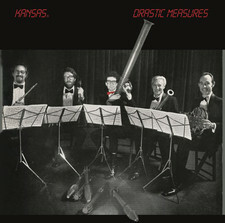 Phew... AOR-monsters all of them. 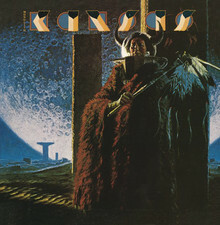 Despite the flop saleswise and the tough time for the band it's an unbelievable good album and you can't say nothing less that it is one of the best AOR-albums from the early 80's. 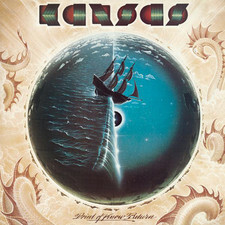 And that is the golden era for AOR. 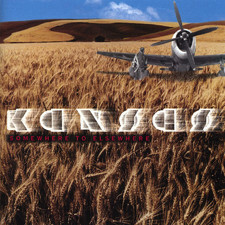 After this album Neil went on to produced Michael Boltons debut (as Bolton) and the rest is history. 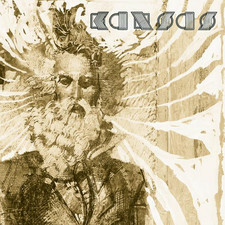 Marvellous stuff. 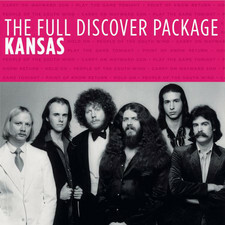 It's a well done re-issue from the boys at Rock Candy with very much info in the booklet but I miss a few bonustrack. 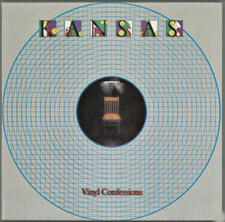 The samemiss as on the "Vinyl Confession"-reissue. 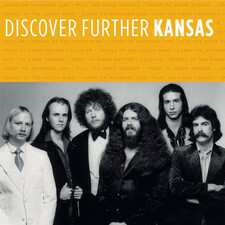 Livgren and Dave Hope left the band to found AD, while Elefante went on to become a successful producer of Contemporary Christian music bands like Petra as well as a popular CCM performer in his own right.